Jonathan Rowe, a long-time activist/thinker, wrote extensively about the deep limitations of conventional economics, the spiritual pathologies of market culture and the appeal of the commons in imagining a better world. He was an editor at the Washington Monthly magazine, staff writer at the Christian Science Monitor, and the first director of the Tomales Bay Institute, later renamed On the Commons. 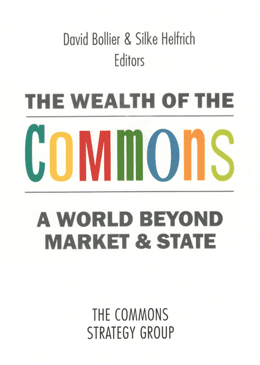 This essay was published on September 4, 2007, on Onthecommons.org. Rowe died suddenly on March 20, 2011. The online archive for his writings can be found at http://www.jonathanrowe.org. There was a time, a few days ago in human history, really, when people spent a lot of time looking at the sky at night. To read Greek mythology, and Shakespeare’s plays, one might guess that people were as familiar with the constellations, as they are with corporate brands today. Or close at least. Of course, it was possible back then to see the sky at night. As David Owen pointed out in a recent New Yorker piece (August 20, 2007), in Galileo’s day – about 400 years ago –people thought the Milky Way was a continuous ooze, so densely packed were the heavens to the naked eye. Today we can see only a fraction of what was easily visible back then. We are enclosed in a visual cocoon, and the cause is not just the smog and fumes that fill the sky. Even more it is the light. “Today a person standing on the observation deck of the EmpireStateBuilding on a cloudless night,” Owen writes, would see “less than 1 percent of what Galileo would have been able to see.” We emit so much illumination – if that’s the word – down here below, that we have lost the capacity to see above. If you have in mind to get away from it all in the Lower Forty-Eight, you can pretty much forget it, sight-wise at least. At the utilitarian level of most US debate, there are many implications, none of them good. Excess light, and the resulting interruption of circadian rhythms, has been associated with breast cancer in humans and the decimation of insect species. The waste of electricity is in the billions of dollars. Most outdoor lights–such as streetlights–are unshielded, which means they send more light sideways and upwards than they do down at the intended object. Calgary, in Canada, cut its electricity bill by more than $2 million a year, simply by switching to shielded street lights that direct their light downwards. Then too, outdoor lighting often is counterproductive to begin with. It puts glaring light on one spot, and so induces night blindness to the darkness that surrounds. The California Department of Transportation has found it safer and more effective to use passive guides such as reflectors, rather than overhead lights. Security lights often help burglars by lighting up possible entry points. Motion detector lights are much more effective because they attract attention by the very fact of turning on, and they save greatly on electric bills. It is a curious feature of this thing we call “the economy” that it befogs the sky with its version of light; and in the process emits the substances that are causing the climate to warm. If that is an economy then I wonder what a dis-economy would be. But there is something more about the enclosure of the night, something that is elusive to state but no less important. It goes to the depletion not just of the earth’s resources but also of our own. The night sky always has drawn human thought outward and beyond itself. Myth was born here, as was (not coincidentally) the puzzlement of children as to what lay beyond the stars, and what beyond that, and what set it all moving and keeps it all in place. G.I. Gurdjieff, the teacher who grew up in Asia Minor, wrote in his auto­biography (Meetings With Remarkable Men) about his father, an ashokh, a poet and narrator, who sang long narrative poems, memorized or improvised on the spot, to haunting melodies. People would gather to hear him sing these in the evening; and the large night sky was an apt setting for narrations that dealt with archetypal characters who existed out of time – stories that reached deep into the psyche, rather than with the minutia of this person or that. Today there is a small and ingrown quality to our stories – which is to say something small and ingrown about the way we see ourselves. The enclosure of the night sky with manufactured smog and light has reinforced the enclosure and shrinkage of the psyche that inhabits it. Shut out from the free expansive space that draws us out of ourselves, we get sucked deeper into commoditized entertainments and commercial importunings that spiral endlessly in a tautological loop of self. I cannot prove this. There is no way to, really. But I have a feeling that what is called “depression” is related to this shrinkage, and the devolution of awareness into a claustrophobic little market “me.” My wife, who grew up in the Third World without electricity, and who walked many miles through fields and woods by the light of moon and stars, to this day has night vision that is uncanny. She sees clearly where I stumble. She also never heard of this thing we call “depression” until she came to the US. A biochemical fact to us, it was a social artifact to her. This is climate change in more ways than one.